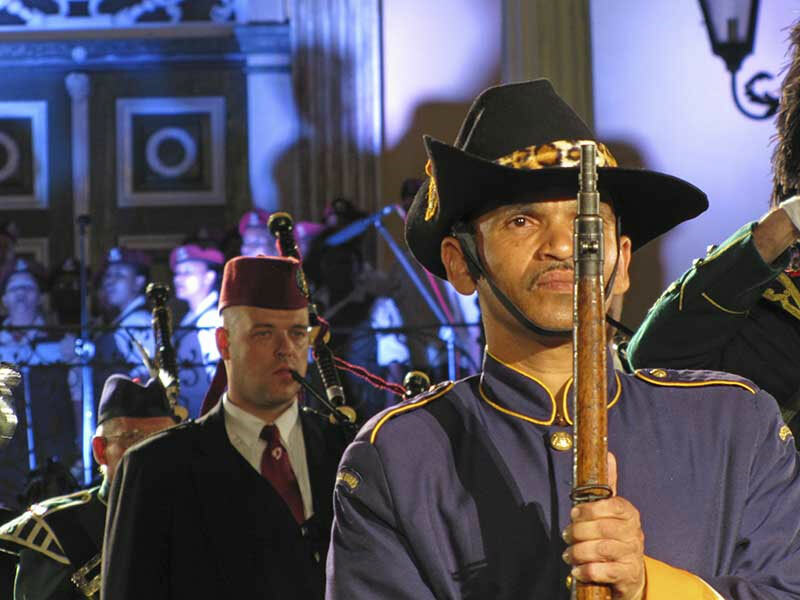 A unique combination of cultural and military history, exhibitions and military ceremonies awaits you at the Castle of Good Hope. 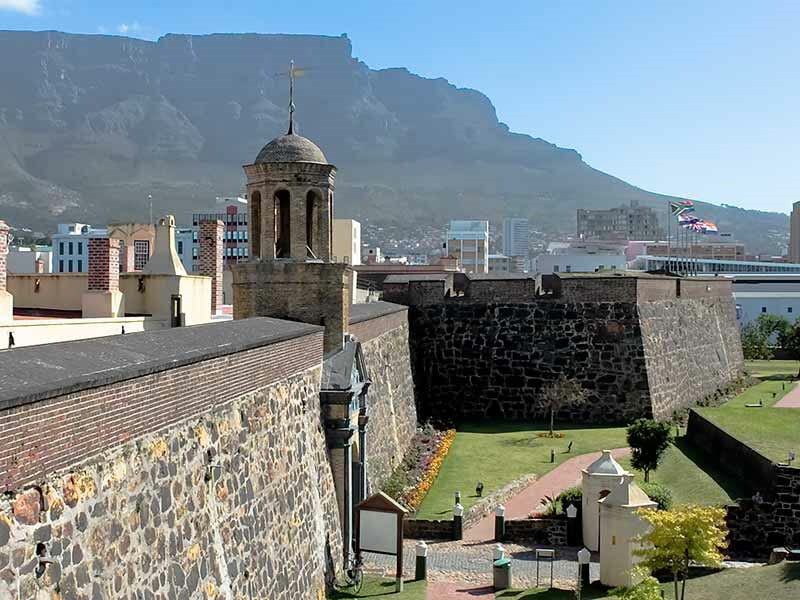 Also experience the dungeons, dolphin pool, blacksmith, cannon fire, horse and carriage rides and above all the tranquil atmosphere of the Castle of Good Hope. 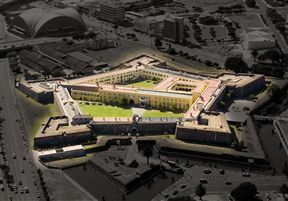 Built between 1666 and 1679 by the Dutch East India Company, better known as the VOC (Vereenigde Oost-Indische Compagnie), this pentagonal fortification replaced a small clay and timber fort built in 1652 by Commander Jan van Riebeeck, founder of the maritime replenishment station at the Cape of Good Hope. The oldest building in South Africa, it is steeped in history but moving with the times. The Castle lends itself to many present day activities, such as open air concerts with Table Mountain as a backdrop, film and fashion shoots as well as a variety of venues for corporate functions and conferences. Guided tours are conducted by Castle guides from Monday to Saturday at 11:00, 12:00 and 14:00. Traditional ceremonies take place during weekdays. The Key Ceremony was performed in the Castle from its earliest days and depicts the unlocking of the Castle of Good Hope. This ceremony takes place at 10:00 and 12:00 during weekdays. The firing of the signal cannon directly after the Key Ceremony is symbolic to indicate the significance of cannons at the Castle of Good Hope. The Castle Guard performs both these ceremonies. The Castle of Good Hope opens daily at 09:00 and closes at 16:00. 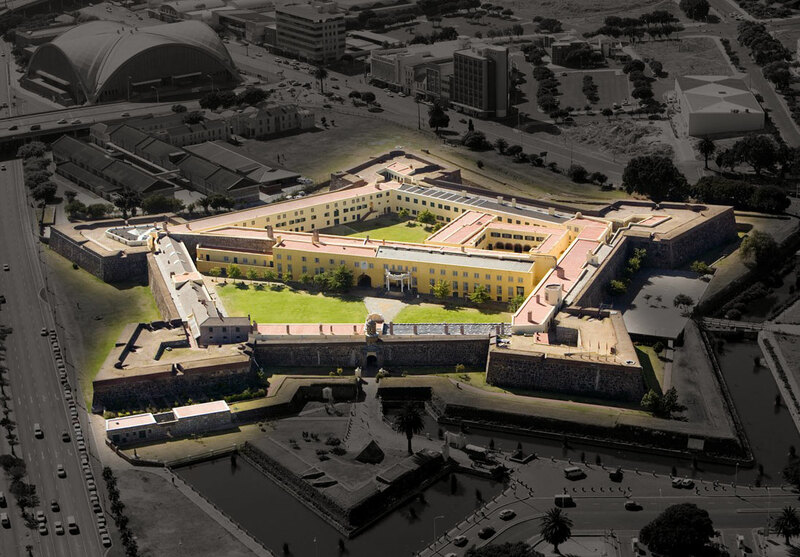 Castle of Good Hope is 1km from the centre of Cape Town , the nearest airport 19.5km (Cape Town International Airport).